Gujarat Night Out is one of its kind Live show where Gujarati Cinema meets Gujarati Comedy. It is one epic night of brutally honest entertainment, unlike award shows. 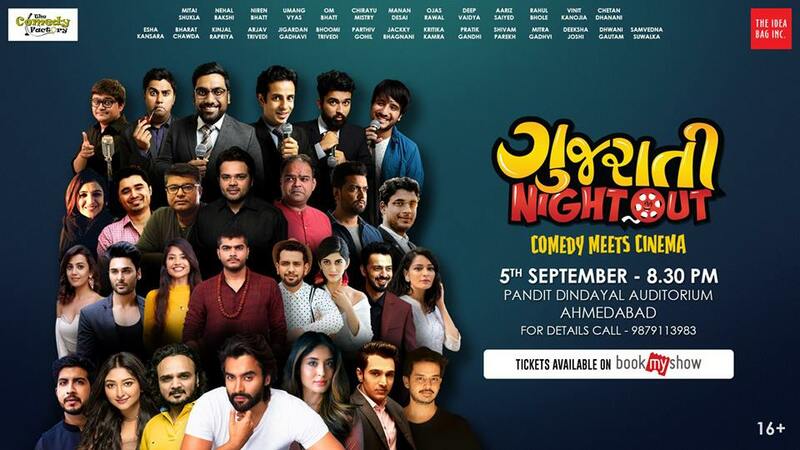 Big stars of Gujarati Cinema are going to hang out with the Giants of Comedy. The show will include various parts like a roast, Improv Comedy, Creative Block, Audience Interaction and a lot more. Don’t miss this epic night of Gujjuness and fun.